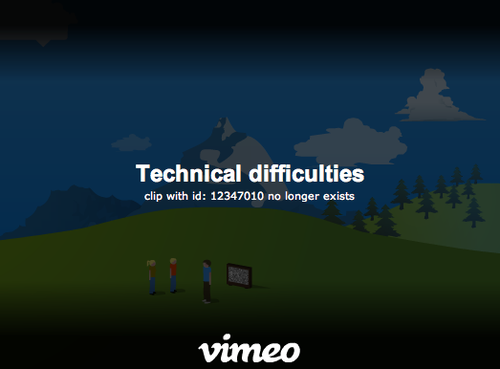 Vimeo does not allow TV shows, movie trailers, or stuff you found on the web. Controversy! But I do see other people do it! Like all the time. And why is this my first notice from Vimeo? (I’ve been asked by the watchdogs of other organizations to take down clips, like when Boo Weekley dropped the F-bomb.) The only explanation I can fathom is that CBS found it embarrassing for some odd reason. Worry not, though! I’ve uploaded Nantz’s touching reading — courtesy of my TV, Flip camera and especially CBS Sports — to YouTube. You’re welcome.